With the rapidly changing atmosphere of workspaces, including the proliferation of open plan offices, providing a diverse range of seating arrangements fosters different working environments. Tech Data’s new space designed by Concept Commercial Interiors embraces this shift, creating pods of soft seating throughout the space. Windows flood the interior with natural light accentuating the furniture in each room. Our Cali chairs upholstered in a tan leather surround the Dart coffee table, providing an occasional seating space focusing on comfort for employees and visitors alike. Nestled next to the boardroom, our Cooper chairs in navy paired with the Dart coffee table form a pod of soft seating. Matching with the blues of the featured carpet underneath and a tv positioned on the wall, the area evokes a more casual waiting space for one to relax. In contrast with the soft seating pods, Tech Data’s boardroom is a haven for more critical thinking. Featuring our Conti table in a soft natural oak finish, complemented by Sax chairs in black leather, the perfect meeting room was created facilitating a more formal environment. Tech Data’s new space considers the different working environments for the modern employees needs. Providing various settings that focus on connection, collaboration and comfort is evident in the curation of furniture, finishes and aesthetic. 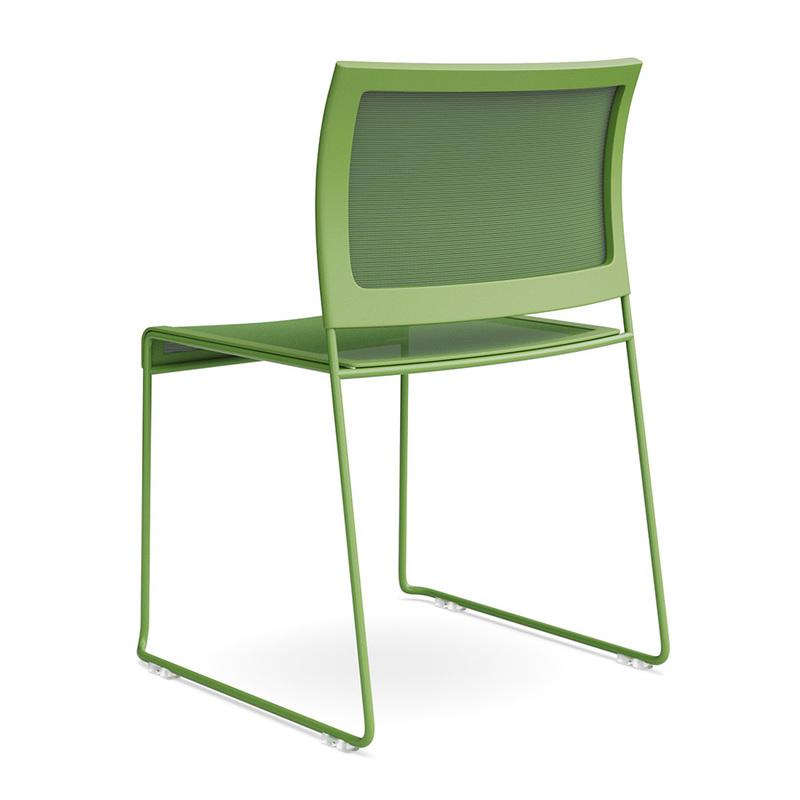 Say hello to Kobi, the latest addition to our seating collection. 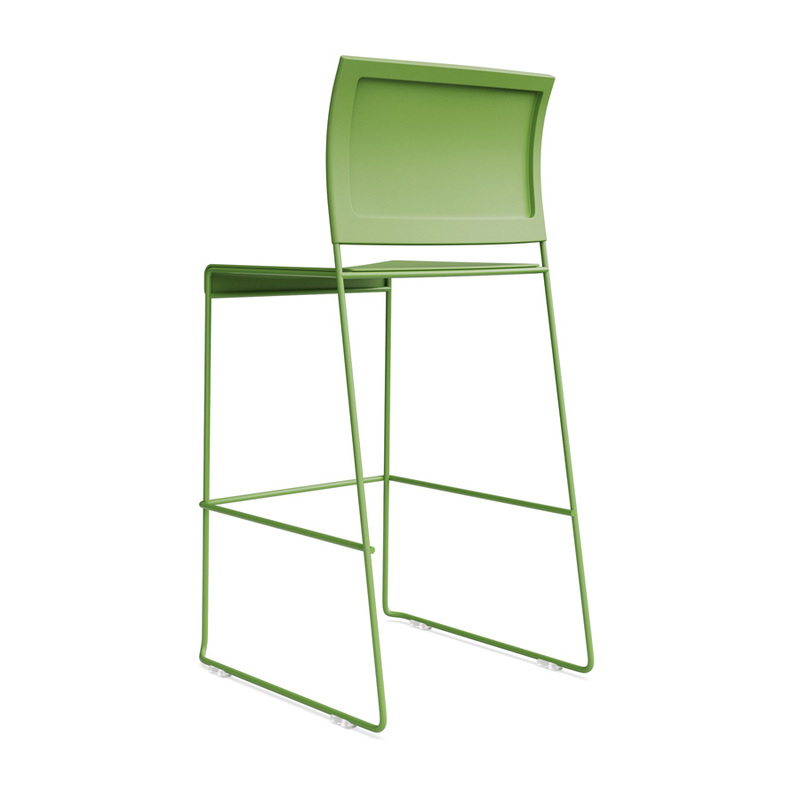 Defined by clean lines and next level versatility the Kobi range of chairs and stools are ideal for the modern office. A perfectly sized, gently contoured seat and back ensure supreme comfort and are available in either a mesh seat/back, polypropylene seat/back or mesh back/ polypropylene seat options, while the stools feature polypropylene seats/ backs. A fun colour palette of green, black and white further enhances the range giving it the added flexibility to be used throughout the entire office from cafe spaces to training areas and executive offices. Kobi chairs are also a clever choice for conference spaces as they can be easily linked together and then neatly stacked away up to 25 high on the Kobi trolley when not in use. From its distinct powder coated frame to it’s vast array of options, there’s a Kobi for every scenario. Shop Kobi today. Introducing Archi, a new addition to our 2019 collection featuring an innovative interplay between material and technology. Designed to suit any user, Archi has a number of adjustable functions which include; locking in any position, tension adjustment control, core equalizer, seat slide control, seat height adjustment and front tilting control. In addition to this, Archi’s arms feature a 360 degree independent height, width, pivot and depth adjustment function. Archi’s sleek frame is complemented by the high performance mesh upholstery in service of comfort making it an ideal chair for workstations, desks and tables. Available to view here or in our South Melbourne showroom, Archi is in stock for purchase now. The 25th anniversary edition of our annual office furniture catalogue is hot off the press. We are thrilled to launch a remarkable selection of new products, from pneumatic workstations to innovative task chairs and cutting-edge side chairs. Hot of the press and straight onto your coffee table, our latest ad in Indesign magazine is out now. Featuring an aesthetically pleasing open office space with all your furniture needs and a bold headline SPEED. SOLUTIONS. SATISFACTION. The campaign highlights what it means to be a Klein customer. With hundreds of discounted products from office chairs to tables, storage and accessories, now is the time to head over to our online clearance store to get your hands on a bargain. With up to 70% off original prices and limited stock only, there is no time to waste. A building which had been vacant for over 40 years, was a design challenge for Concept Commercial Interiors who detailed five office spaces to meticulously suit each tenant and their business needs. Emitting a clean monochrome palette, one of the five offices in the Investa fit out exudes a light and ethereal atmosphere. Featuring floor to ceiling windows surrounding the entire office space, natural light emphasises the nuances of each piece of furniture. As you enter the office, our Dart Coffee Tables are paired with the geometric custom fitted bench seat creating a strong contrast with the natural tones surrounding the space. Extending the visual focus beyond the entrance, the boardroom can be seen through the tall glass windows. Using a Dart Boardroom table in a light timber finish with white legs, surrounded by our Zed Chairs, a formal yet soft atmosphere was crafted. Hues of brown and beige compliment the open space of the office. Breakout areas are created using our Uno Counter Table and Zorro Stools consisting of only white colours to form a crisp setting. The monochrome palette is continued into the kitchen area where Madi Chairs and Halo tables are interjected with the same geometric pattern featured in the entrance, creating a fluent theme from area to area. Maintaining the open plan layout, pods of Keywork workstations and Space chairs fill the remaining parts of the office satisfying an employee's range of needs and requirements. HAPPY NEW YEAR! WE HAVE A LOT IN STORE FOR 2019! The team at Klein would like to wish you a happy and prosperous new year! We hope you had a wonderful holiday season and are ready to tackle 2019. We’re excited to announce that our newly renovated showroom is now open. The office and showroom have received a complete overhaul and you won’t recognise it. We’re in the final stages and can’t wait for you to see the world class display. Apart from our new look showroom we can’t wait for the release of our 2019 catalogue and to also share some of the exciting new projects we’ve been working on, so watch this space! We look forward to working closely with you through 2019 and beyond.